Manchester United host PSG in the Champions League last 16 tonight and a French media outlet have leaked the team that manager Thomas Tuchel has been trying out in training. The Parisian’s are without three of their main players in Neymar, Edison Cavani and right back Thomas Meunier, so the reports are that Tuchel is going to tweak his usual 4-3-3 formation in favour of a more cautions 4-2-3-1 line-up. The big talking point from this line-up is Dani Alves being deployed as a right winger. If this is the case, then it would be to help stand-in right back Thilo Kehrer up against Luke Shaw and probably Anthony Martial. Alves will do the tracking back and is vastly experienced in the Champions League. Central defender Marquinhos will sit deep in the midfield, with one expected to closely mark in-form Paul Pogba, who has been brilliant since Jose Mourinho was sacked as Manchester United boss. Neymar and Cavani are both out injured so Angel Di Maria is set to start on the left wing, with Kylian Mbappe moving into the central position where Cavani usually plays. Julian Draxler is set to start in the number 10 poisition, supporting Mbappe. In defence, the ever reliable Thiago Silva will start alongside Presnel Kimpemba and Bernat will play at left back. Italian legend Buffon will start in goal for PSG. Will this PSG starting line-up beat Man United? 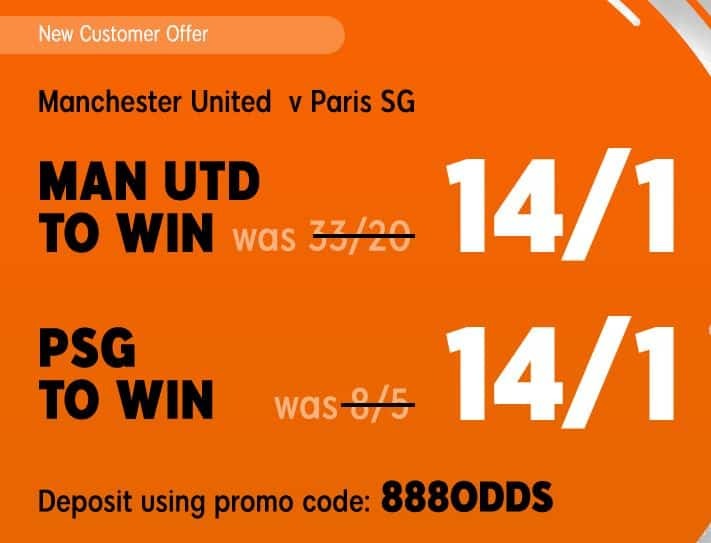 Since Ole Gunnar Solskjaer took over as United boss, they have looked a totally different side and the odds for this match have changed dramatically. 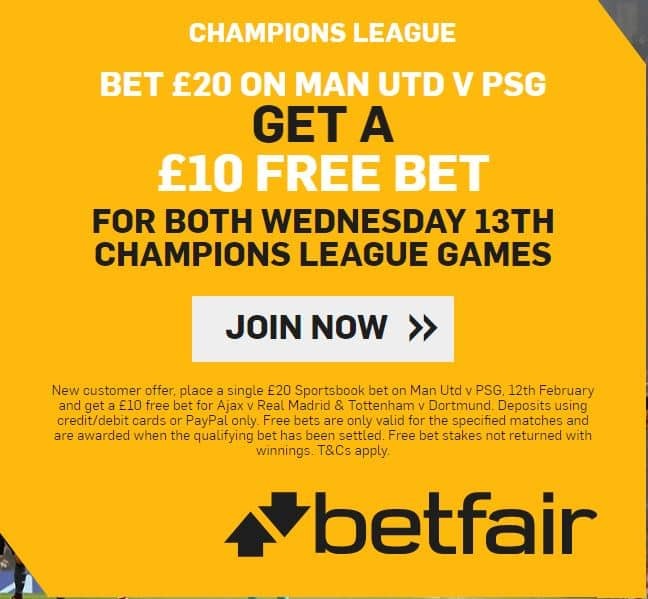 On 23rd January, PSG were the clear 21/20 favourites to win this first leg at Old Trafford, but now the odds have flipped and you can get 2/1 for the French Champions to get the first leg lead. Solskjaer is expected to have Marcus Rashford back in his Manchester United starting line-up and Anthony Martial should keep his place after his goal against Fulham at the weekend. Paul Pogba will be the catalyst in midfield and the ever reliable David De Gea will be charged with keeping Mbappe’s attempts out. Read More: See our Man United vs PSG predictions.